Some Epicor screens keep track of the data you have been using. This works very similar to who Microsoft Office works. This history is found on the File menu. Look up Addison, Boeing and Dalton. Close the Customer Maintenance screen. 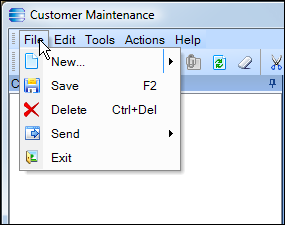 Reopen the Customer Maintenance screen and look at then File menu. Notice the three customers listed below the Exit. 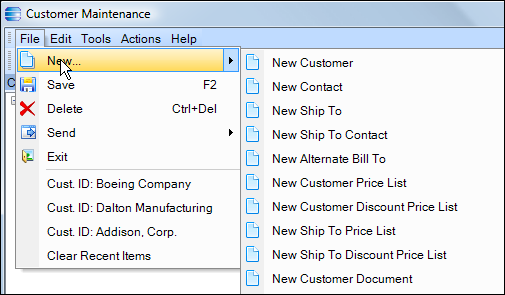 Click on the Addison line and Epicor will load the Addison information into Customer Maintenance.